The world can be a brutal place especially for the very young and helpless. Occasionally such a life is delivered to us. We do what we can. 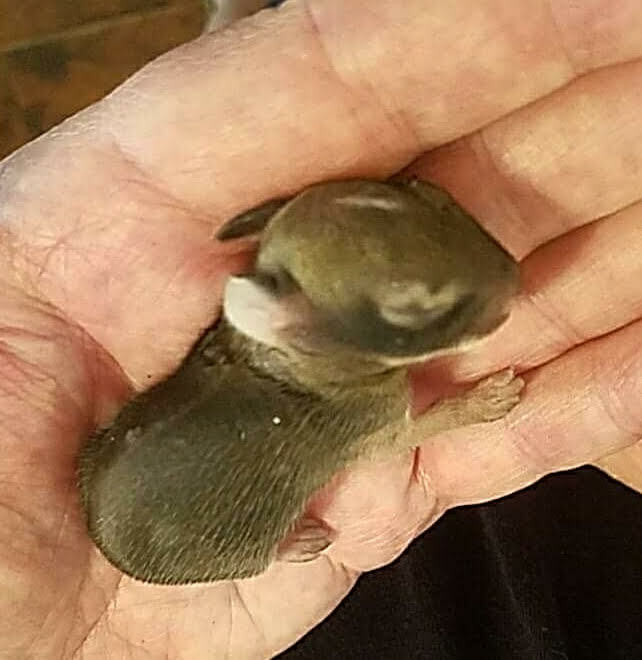 This baby bunny was taken from its nest in our yard by one of our beloved pets, probably Cora, the cat. Cora is a predator. She can’t help it, she’s a cat. There were two babies to begin with. One was convinced to drink kitten formula in CarolAnn’s hands. In this very short video you can hear us cooing and worrying as if we were its parents. When the feeding was finished the babies were put in a soft bed we made in a small box. The box was placed in our backyard flower garden with hope that the mother rabbit would retrieve them during the night. She did not. By the following morning one had died. CarolAnn took the other to a professional wildlife rescuer who specializes in rabbits. Seems like a lot of effort to save a tiny wild animal, doesn’t it? Especially by people who routinely celebrate when our pets kill a rat in the same yard. I can’t make sense of that. I just know I’m still worried about that bunny. I hope your sweet bunny tale writes itself a happy ending.